View More In Bronzers & Highlighters. The Active Bronzer is for the salon owner who loves the overall performance of the Brilliance Bronzer, but is looking for increased results. The Active Bronzer adds about 20% more output compared with the Bronzer by increasing the UVB for more immediate results, however it still offers an abundant amount of UVA for a dark bronzing finish. Compatible Replacement for many popular sun beds. Replaces Velocity Plus, Velocity Exteme, Dark Tan Plus, Diamond Sun, Sunmaster & many others. 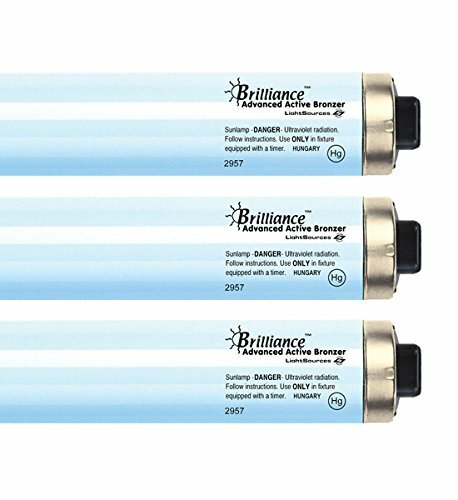 If you have any questions about this product by Brilliance Advanced, contact us by completing and submitting the form below. If you are looking for a specif part number, please include it with your message.